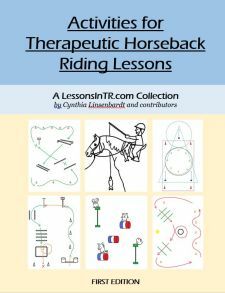 I am excited to share with you this huge compilation of notes on teaching riders with moderate to severe disabilities. While the therapeutic riding instructor is to focus on teaching riding skills, the truth is that sometimes you will get students who cannot balance on their own and may never understand the connection between the aids and controlling the horse, who would probably benefit more from a hippotherapy program but do not have access to one. Learning to work with this type of client has been one of the hardest and most rewarding things I have learned to do as a therapeutic riding instructor, and, as usual, I can only hope that my notes will help make your own journey easier! In fact, I have compiled so much information from research, asking others, and personal experience, that I have split it up into a series that I will post over the next few days. Let me start off by defining what I mean by “severe disabilities.” To me these are riders who need a lot of support due to physical and cognitive challenges such as being extremely high or low muscle tone, extremely tactile defensive, having extreme difficulty in motor control and planning, being low or non verbal, and extreme impairments in mental processing and comprehension. Therefore, these are the riders who have a hard time sitting up on their own, cannot maintain midline for very long, need constant sidewalker support, have a hard time keeping hold of the reins or don’t want to touch the reins, have limited ability to express themselves using words or signs, don’t seem to understand the connection between the horse and the aids (or if they do, don’t seem to have a desire to use them), and are unable to follow multiple step directions or patterns. Understand that often people with moderate to severe disabilities don’t just have one, but a combination of different disabilities, each unique. Therefore each rider will require their own unique combination of adaptations and teaching techniques. I found it helpful to break down my riders’ challenges, then research each one, and come up with ideas to incorporate into lessons. 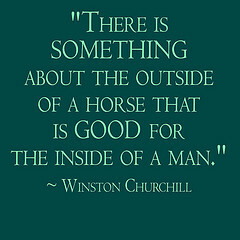 The more I broke things down, the more I realized there are several dimensions to address for each rider: 1) The physical support needed in response to their physical disabilities, 2) The cognitive support needed in response to their cognitive disabilities, 3) What aids to teach and how – which can only be done once the rider receives adequate physical and cognitive support, and 4) What activities to use. Therefore those are the topics for this series, and I will end with examples of riders and successful techniques used with them. These are important for all riders with severe disabilities as you are starting to work with them. Ask the parents if it’s okay to contact their therapist/s, and even meet all together. The therapist and parents will have to fill out an information release form for the client. Meet with the therapist, or have them come watch the client’s lessons. Discuss techniques to use to build on what they are already working on (such as core strength), in order to learn riding skills. Meet with the therapist every few months to re-evaluate. I can’t stress how important this is. Recently our barn paired with the local university to allow Service Learners to get their hours volunteering in our program. They came every week and many of my riders progressed further than they had in the other quarters. I believe this was greatly due to the Service Learners’ consistency in attendance, prompts, interactions with the riders, getting to know their riders well, and being so invested in them. It really blew me away!